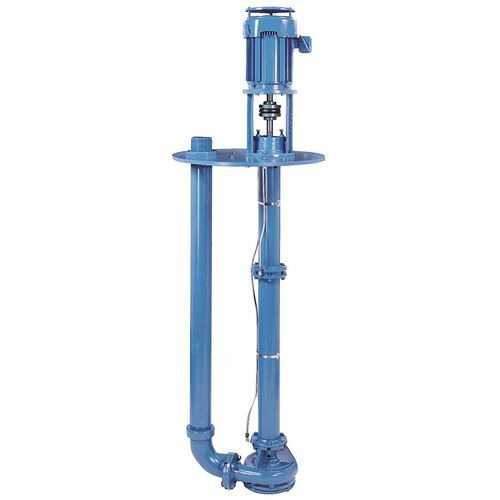 Goulds Pumps' 3171 Vertical Sump and Process Pumps are the ideal vertical process and sump pumps. These API 610 9th edition, compliant VS4 pumps deliver thousands of installation capabilities in industrial procedures, corrosive liquids, sump drainage, molten salts, and pollution control. They even offer easy mounting capabilities. The Goulds 3171 Vertical Sump and Process Pumps feature capacities up to 722 m3/hr, heads up to 105 m, pit depths of up to 6 m, and operational temperatures of 232ºC.